Why trade stocks and ETFs? At The Trader Institute we think Stock trading may have a place in people's portfolio however we are not doing a lot of stock trading. This is because stocks present some disadvantages compared to the other instruments we day trade (futures, forex, CFDs....). The main issue working against day-trading stocks is the limited leverage we can achieve (a mere 2 to 1 leverage) compared to trading for example futures. 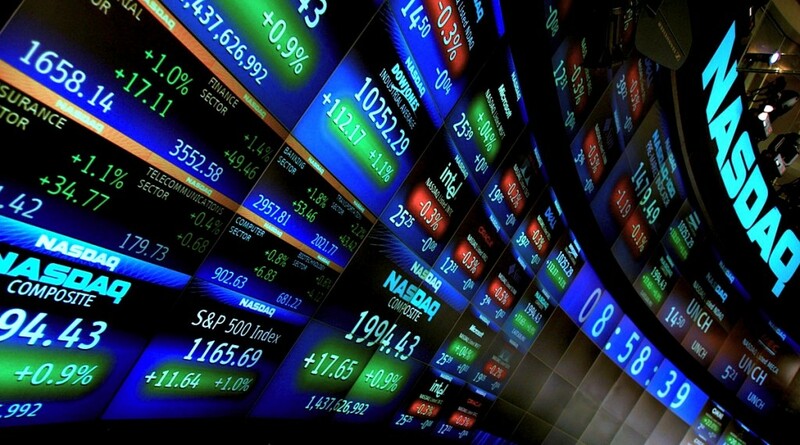 How to do best online stock market and ETFs trading ? However there may be specific circumstances when our members may decide to trade stocks and therefore we use a similar methodology of recommending stock trades as we use for the other instruments. We often trade Stocks in conjunction with Options to mitigate some of the risks associated with stocks and these types of trades will be covered upon demand for the interested members. A newer development in area of trading stock its been the rather significant increase in the area of Exchanged Traded Funds (ETFs). The ETFs are “made” of stock and try to replicate certain sectors or indices and we find value in trading ETFs and also in trading Options on ETFs. We are trading options on key ETFs such as SPY, QQQ, DIA, GLD, TLT, just to name a few. There are also currency specific ETFs and indices that we trade options on, for example the FXE, FXB, XDC just to name a few, or even country specific ETFs. A key disadvantage of trading the ETFs is that they trade no more than 7hrs a day vs the futures that trade about 23 and a half hours. Once in a ETF trade we are exposed to gap risks. For US traders we have additional regulations for day-trading stocks and ETFs therefore we generally take longer term trades with these instruments. How do I start learning and trading stocks and ETFs? We recommend any trader that is interested to find a suitable mentor or a serious educational program since there are a lot of details that need to be taken care of. The simplest way is just to contact us directly and let us know your circumstances. We value our student and want to talk to you and see how we can help you achieve your financial goals. We offer FREE consultations to discuss your situation and you can even talk to Simon himself directly. The Trader Institute is a leading provider of education in the area of day trading futures, forex, CFDs, ETFs/Stocks and Options. Simon Jousef has been trading in front of students for many years and he has also devised an educational program that explains how he trades. Furthermore The Trader Institute offers trading education in other instruments (futures, forex, CFDs, and Options) and while at the beginning you may not be interested in these in time you may desire to expand your trading toolbox. A premium membership at The Trader Institute (TTI) is all that is needed to secure your trading education.